Please select a size. UK 6 - In StockUK 7 - In StockUK 8 - In StockUK 9 - In StockUK 10 - In StockUK 11 - In Stock Please select a size. 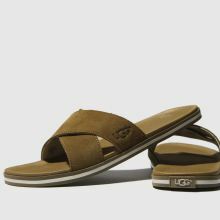 Bringing a sophisticated edge to your beachwear, UGG deliver the premium Beach Slide. 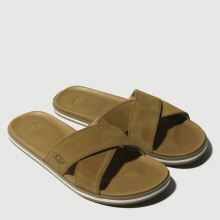 The tan suede upper creates a cosy feel, whatever the weather while branding across the strap gives a signature UGG finish. A flexible EVA outsole completes.